Good navigation calls for clear communications. We would like to think, then, that the terms we use have precise meanings. Most do, but there are common exceptions that we should know about. This is especially important when learning navigation. We go over here a few important terms that require special attention, either because their meaning changes with context or the definition is more subtle than might be guessed. Significance is hard to rate, so we default to alphabetical order. Allision. When two vessels underway run into each other it is called a collision. When a vessel runs into a dock (assumed above the water) then that is an allision. Allision is damage causing impact between a vessel underway and something not moving, such as an anchored vessel. This would seem just Admiralty Court jargon—there is, for example, an official “Oregon Rule” that presumes the fault lies with the moving vessel—but there are more subtle implications to this concept that I have always considered fundamental to basic navigation. The word allision is not in the Navigation Rules. In fact, the only reference in the Rules at all that refers to collisions with anything other than another vessel is in Rule 6 (b) ii, on the things we must take into account when choosing a safe speed when using radar: “the possibility that small vessels, ice and other floating objects may not be detected by radar at an adequate range.” [emphasis added]. Though never stated specifically, clearly the authors of the Rules intended this document to be the guide to not running into anything. And it remains true. If you know and obey the Rules, you will avoid not just collisions but also allisions, and minimize chances of running aground. Course. This is to be added. It seems basic, but on reading Bowditch we see this needs attention. I will add this shortly. We will not likely go astray using it as we might guess it to be, meaning, usually, the way we want to go. Course made good (CMG). This is our average course over a specific distance or time period relative to the fixed earth. It is the direction from an earlier position to a later position, regardless of the track between these two positions. It can be something we have already done, such as our track of past positions shown on echart plotter, or it can be something we plan in the future by anticipating the course we will achieve in the presence of current or leeway. It should not be confused with COG. Course over ground (COG). This term is known to everyone who uses GPS. It originated as one of the first important derived values we learned from LORAN units. It has, however, been generalized in modern times to a point where it risks distracting from effective communication. It is best thought of as the instantaneous value of our CMG relative to the fixed earth that we read from GPS. Past or future courses are best described as CMG, not COG. The predictor line on our vessel icon in echarting points in the direction of our COG. The trail of dots behind the icon shows our CMG. When we solve a vector problem to account for current we are finding or using our CMG, not COG. The same distinction should be made between speed over ground (SOG) and speed made good (SMG). Declination. To a land navigator declination is the difference between magnetic north and true north. To a marine navigator this difference is called variation. In marine work, we reserve declination to mean the latitude on earth directly below a star or other celestial body. We further distinguish declination from latitude by placing the label N or S in front of declinations and after latitudes. Dead reckoning (DR). This most fundamental of all navigation terms has two different definitions in modern times, both of which refer to a position determined for your vessel without the aid of any piloting data. (1) Position by log and compass alone and (2) your best estimate of your position taking into account everything you know about your boat, the wind, and the waters you sail. The former is found by plotting distance run on each logged course, with no further corrections; the latter accounts for current, leeway, helm bias and sea state. This distinction is not crucial. A practical implementation is to plot the DR position by definition (1) and then apply all corrections you know about. The distinction lies only in what you call this final position, the estimated position or the DR position. We prefer the latter definition (DR is everything) as there is no real need for a second named position, and it is difficult to coordinate the plotting in a logical manner—correction for current and correction for leeway are plotted differently. In our course we use the old, traditional definition (2), DR is everything you know. From a Dictionary of the English Language by Samuel Johnson, 1755. The "new" definition of DR being just log and compass, gained popularity in the early 1900s with the development of gyrocompasses and the first "DR machines." They could only do log and compass. 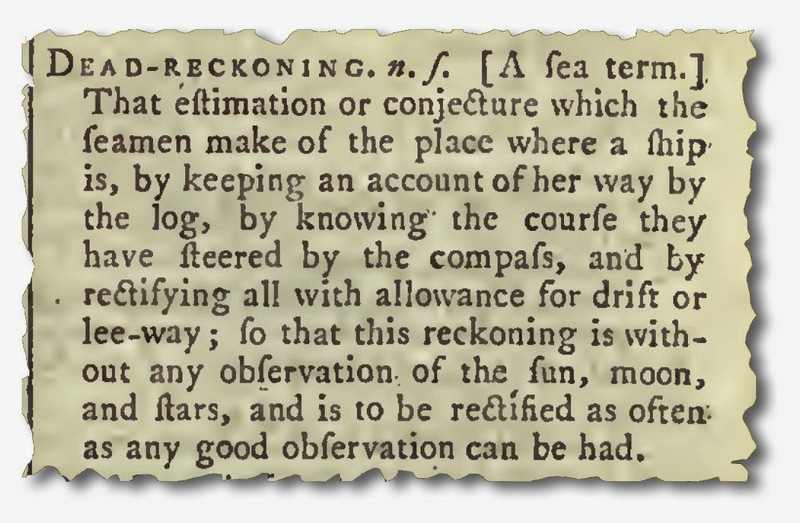 Note too that contrary to Dutton, Bowditch, and the Admiralty Navigation Manual, the "dead" in dead reckoning does not originate from an abbreviation of deduced (ded). The adjective dead, as in dead reckoning and dead range, dates to at least the early 1600s. Drift. Used alone, this means the speed of the current, which can be measured in knots or nautical miles per day. Wind drift is sometimes used to refer to the wind-driven current, but in other contexts, wind drift is used to describe leeway speed and sometimes used as a vector to include speed and direction. Spindrift, on the other hand, is the foam blown off the tops of waves. Its first appearance is a good Beaufort Scale benchmark for about 30 kts of wind. Estimated position (EP). If one chooses to define a DR position as that found from compass and log alone, then anything you do to that position to improve it changes it to what is then called an estimated position. This is common training, though it does deviate from the historical meaning of DR and may add some ambiguity to the plotting. On the other hand, if DR is defined as including all you know about your navigation in the first place (short of piloting), then a DR position and an estimated position are the same. The term estimated position requires more care when it is expanded to include piloting data, such as a single line of position (LOP) or a depth contour. If you have a single measured LOP, then in its broadest sense, one can define EP as your best estimate of your position taking everything into account, including this one LOP. This is indisputably a sound definition, and indeed the proper guide to position evaluation underway. The required care comes into play whenever a specific prescription is given on how to do this. This type of EP, for example, is frequently defined as the point on the single LOP that is nearest to the “DR position” at the corresponding time—which immediately drives us back to the terminology. This use of “DR position” cannot mean DR by log and compass alone, because known corrections can take you away from the nearest point on the LOP. Thus this prescription must be worded: the estimated position is the point on the LOP nearest to the estimated position without the LOP. Even then we must be careful. When you measure an LOP by any means (compass bearing to a lighthouse or sextant sight of the sun) and this LOP does not cross through your corresponding DR position, you know only two things: one, you are on the LOP somewhere, and two, your DR is wrong. We can project that point onto the LOP and call it the estimated position—as you must do on any navigation exam!—but underway, we should remember this is largely wishful thinking. If the single LOP crosses right through the DR position, then you can add to your knowledge that the DR might be right. Log. This term has several meanings, all related. Verb: Make an entry into the log book (“I logged our mark rounding.”). Verb: Travel a distance (“We logged 130 miles today.”). Noun: Another name for logbook. Noun. Device for measuring distance traveled through the water (knotmeter log, taffrail log, chip log, etc). True wind. Every meteorologist in the world, and I would hope every navigator in the world, agrees on the definition of true wind. It is the wind speed and direction relative to the fixed earth. 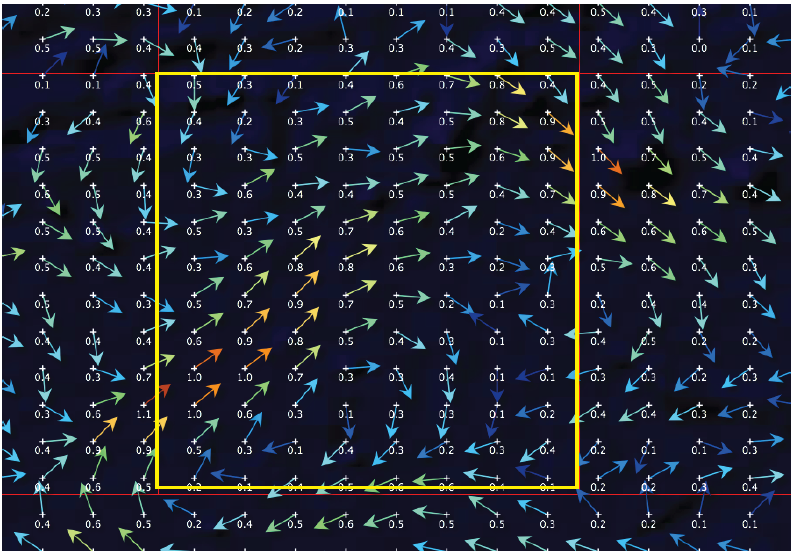 For some aspects of sailing performance analysis, however, it can be useful to know what the wind is relative to the water, which in turn can be moving. Periodically we see this later wind referred to as “true wind,” and that should be avoided. We should not even say “true wind relative to the water,” which only muddies the matter. Ben Ellison of pandbo.com has suggested calling the latter the “water wind,” which seems a good solution. Google the phrase “true wind versus water wind” to find extended discussion of this terminology. Range. This is an important term in navigation with several distinct meanings. It can be used to refer to a specific distance between two points on a chart (“range and bearing from A to B”), also used as distance from vessel to radar target (range rings, etc), but it is also used to mean the maximum effective distance a light shows, or a radio or radar beam reaches (nominal range, luminous range, VHF range, etc). Likewise we refer to the maximum range we can achieve under power without refueling. And of course there can be a mountain range along the coast. Thus there are a whole range of extents using this term. Extend a given extent on a chart and you get what the British call a transit, namely the line on a chart between two landmarks or aids, which in US parlance is called a range. A navigational range is between two aids put in place for that purpose; a natural range is any two objects you choose for navigation, charted or not. All navigational ranges show the nearest mark or light lower than the farther one, and a similar convention on ship's masthead lights (forward lower than aft) has led to the nick name “range lights” for the two white masthead lights on a ship that tell us which way it is headed. By watching the space between them we can tell if and how it is turning. Less often used is the verb to range along a coast, meaning to travel at a fixed distance off. Used mostly in radar and sometimes weather work, it means the bearing (0 to 360º) of an object relative to the bow, which is considered 000R. Thus 090R is the starboard beam, 180R is astern, 270R is the port beam. 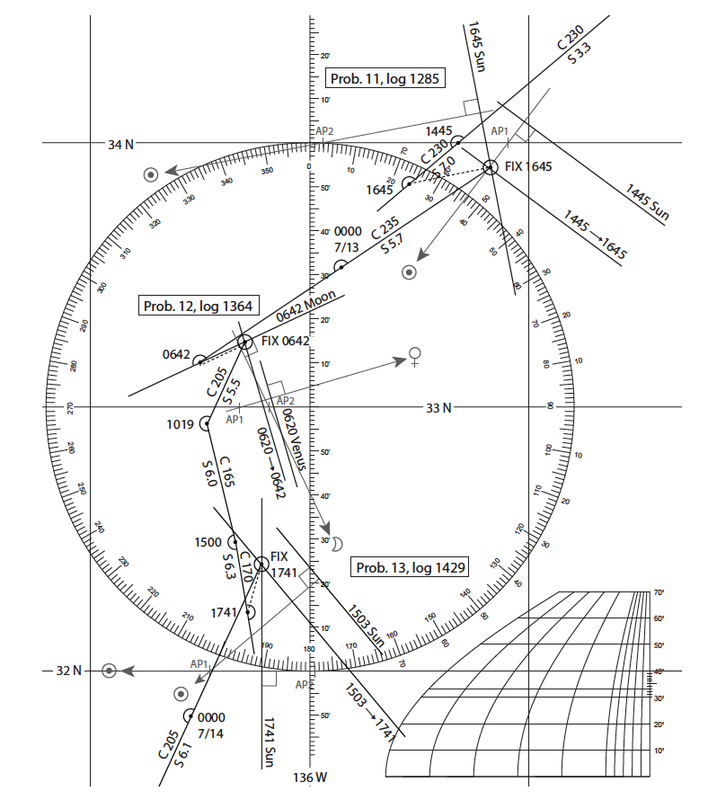 The tricky part is the azimuth angle (Z) in cel nav, which is measured (0 to 180º) relative to the elevated pole. This is not a relative bearing! It is a bearing relative to the elevated pole, i.e., relative to 000T in the NH, and relative to 180T in the SH. Sea mile. A nautical mile is defined as 1852 meters, exactly. A sea mile is a distance of 1' of latitude. We tend to use these interchangeably, which is rarely an issue... unless you are hiding treasures by GPS coordinates in both Alaska and the Galapagos, where the latter has a sea mile that is 50 ft shorter. Tide. Vertical motion of the water is the tide; horizontal motion of the water is the current. We are better off to not ask what the tide is doing when what we want to know what the current is doing. Velocity made good (VMG). This is a derived term that actually predates LORAN. It began as a sailing performance term, which means your speed projected onto the direction of the true wind, either upwind or downwind. It takes a simple processor chip to compute; no position data are needed. It is still used that way, and in a sense this is the preferred meaning of the term. But with the advent of LORAN and later GPS, this term began to be used as the projection of your SOG onto the direction of your desired course. (Recall speed is just a number, but velocity is a vector, meaning a number and a direction.) Thus we get some integrated instrument systems reporting both VMG Wind and VMG Waypoint, which is tidy enough, we just need to be careful when discussing VMG on the boat. Our main concern arises when we have instruments reporting just VMG. Then we have to look up what it means. Waypoint closing velocity (WCV). This is the NMEA term for VMG to a waypoint. It would be nice if manufacturers converged on common terminology, but they do not; we do not see this one used very often, maybe because it's harder to say. With special thanks to Starpath instructor Larry Brandt for valuable suggestions. Most blue water sailors think about celestial navigation at some point. Many pursue it so they can navigate on their own if they need to. They do, after all, have a boat that can proceed without power–nor any other communications with civilization–so why not learn how to navigate it in those conditions. It is not a challenge power boaters have to face. Until recently, a sailor would learn cel nav from textbooks using carefully crafted examples of sextant sights, and thus learn how the process works. But the real world usually differs from the classroom, so we are left to learn the practical matters on the wing, when we really need it. 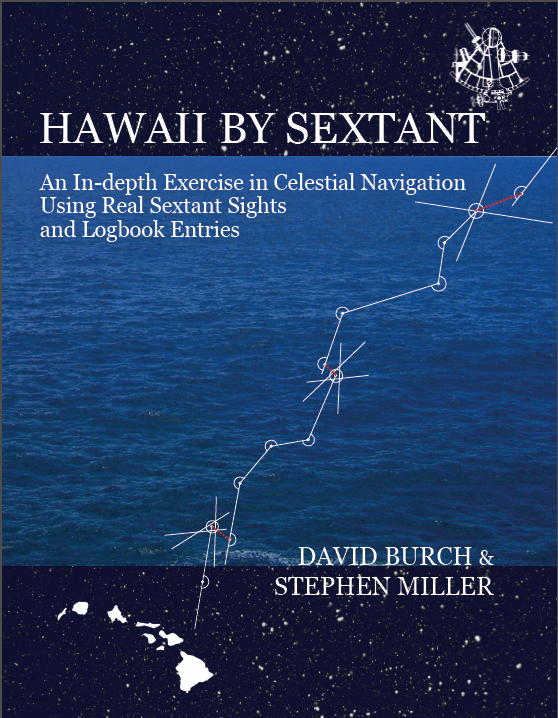 A new book from Starpath Publications called Hawaii by Sextant (starpath.com/HBS) takes a unique step forward to changing the options we have for learning cel nav. It brings the real world into the classroom. The book is a documentation of the ocean passage from Victoria, BC to Maui, HI carried out in 1982, when cel nav was the only means of navigation available, other than log and compass. The essence of the study is the logbook of course changes done between the celestial fixes, along with watch times and sextant readings to each of the bodies sighted. The work is unique in that even the classic early texts of Bowditch and others used manufactured data for their training voyages, whereas this book uses real data. The boat was taking part in the Vic-Maui yacht race (vicmaui.org, even years), one of the three popular races to Hawaii from the West Coast, including Transpac (transpacyc.com, odd years) from Los Angeles to Honolulu, and the Pacific Cup (pacificcup.org, even years) from San Francisco to Kaneohe Bay, Oahu. The study includes over 220 sextant sights making up 27 position fixes, over the 2,800 miles logged that lasted 17 days. It was a slow passage for a yacht race, but it was not uneventful, and in long retrospect offers us much to learn about navigation of a small boat across the ocean. There were dead calms (crew swimming in the ocean) and 40-kt squalls with rain so hard you could not see the bow of this 40-ft boat. That under-the-faucet experience of what is called violent rain remains one of striking memories of the trip. Here are a few key points we are reminded of from this new study of practical celestial navigation. The basics are: a sextant, a watch with known error and rate, sight reduction tables, a nautical almanac, and universal plotting sheets. With a metal sextant and standard books, this costs about $900. With a plastic sextant and minimalist books, it is about $100. The minimal approach takes more work and won’t be as accurate, but does reflect what a safe backup package would cost. With practiced use of a metal sextant, employing good procedures, in good conditions, you can find your position underway within an accuracy of 1 nmi. Pushing this to the limits might get you half of that, but never better, and indeed rarely that. More routinely a position within 2 to 5 nautical miles is more likely. Much worse than that, means something is not being done properly. The keys are good procedures and proper accounting for the motion of the boat during the time of sight taking. When relying on cel nav exclusively, you try to get star sights either in the evening or morning, and one fix from the sun during the day. But this will not always be possible, either because of the sky or because of your schedule. In the summer the nights are short, so morning or evening plus one day session is usually enough. When the sky is overcast or cloudy, you have to take every sight you can, because you do not know when you won’t get anything. With the sextant you measure the angular height of the body above the horizon, and carefully note the time to the second. The goal in star-planet sights is to do this 4 or 5 times for each of 3 bodies, roughly 120º apart in bearing. That is the ideal. In practice you take what you can get in the time you have. With these sights you can then figure where you were at the time of the sight taking. But clearly if you are moving at 7 kts and it takes 30 minutes to do the sights, you have to choose a time, and adjust all sights to that time. For the sun navigation you choose a time, take 3 or 4 measurements, about a minute or so apart, then wait for the bearing to the sun to change 30 or 40º and do it again. Then using your dead reckoning (DR) between sights, you advance the first sights to the second for what is called a running fix. It is just as good as star sights if you have good DR between the sights. A daylight sun-moon fix is a bonus available a couple weeks each month. A prominent moon at twilight is usually more trouble than it is worth; it distorts the horizon. The bright planets Venus and Jupiter are always a bonus as they can be seen in the daylight phase of twilight, when the horizon is sharp. Then comes the paper-work, called sight reduction. With a programmed calculator or computer program you can do everything you need in a matter of 20 minutes or so to find a position. Doing it all by hand with tables and plotting, it will take about an hour to get a fix, or twice that to do the best you can. We have to accept that this is more work in a moving nav station than it is at the kitchen table where we learned to do it…. but not so much as it might seem, because everything we do at sea is harder than on land, and at some point we simply adapt to this moving world. At home you would get mad if someone jerked the chair out from under you every few minutes as you tried to concentrate, but after a few days at sea, you just get up and keep working… or figure out a way to stay in your chair. Plot of three fixes and the DR between them. Besides having a record of actual sights and logbook records in all manner of conditions, with multiple examples of having to pull a fix out of limited data, we see in practice the main reason we do celestial navigation. It is not so much just finding out where we are; the main goal is to learn how well we can navigate without it. In other words, we use it to test our DR. It is precisely the same goal we should have today crossing the ocean using GPS. Each time we get a fix, we compare that fix with where we think we should be based on our log and compass records, adjusted as needed by how we think the current, waves, and wind have affected our progress. No matter how we navigate routinely (cel nav or GPS) the main goal of prudent navigation is to learn how well you can navigate without it, with no electronics and with the sky socked in or no usable horizon. A lack of clear horizon is as often a show stopper to cel nav as is an overcast sky. The question addressed is how accurately can we expect to navigate by DR alone? The proposal we have used for years is you must think of this in two ways. First, consider a position uncertainty that is growing at the rate of 7% of your distance run, and at the same time assume you are in a current of 0.7 kts in a direction you do not know. After logging 100 miles with good records of all course changes (assuming calibrated instruments) and accounting for leeway and any known or predicted currents we must assume our position is uncertain by 7 nmi. If this run takes us 24hr, then we have an additional position uncertainty of 17 mi (0.7 x 24). These combine as the square root of the sum of the squares for an uncertainty of about 18 miles. In that example the time dominated. Traveling at 10 kts for the 100 mi, the error current adds only 7 mi to the uncertainty. This does not mean you are wrong that much, it just means that is the uncertainty you must use when making decisions on your route based on DR alone. The larger will dominate in this statistical addition. A day to day study of this comparison and what you can learn from it is covered in this book, and one of the things that stands out is a week-long shift of the DR to the east, in what was effectively an error current of about 1 kt. This observation was not fully appreciated at the time of the voyage, though it was indeed recognized. Since that time (1982) oceanographers have learned a lot about ocean currents. That shift of the DR to the east was almost certainly the work of an unforeseen mesoscale current eddy. The speed and size are consistent. The DR before and after that was normal. These are loose canon circulations of the ocean surface that form and migrate and dissipate in seemingly random fashion, though indeed there is a complex theory behind each one, just as there is to the water surface in a washing machine. It is just difficult to predict. Modern ocean models are getting much better at this, but they have a long way to go for routine application to navigation. We have extensive notes on this at starpth.com/currents. The images below are explained in the text. 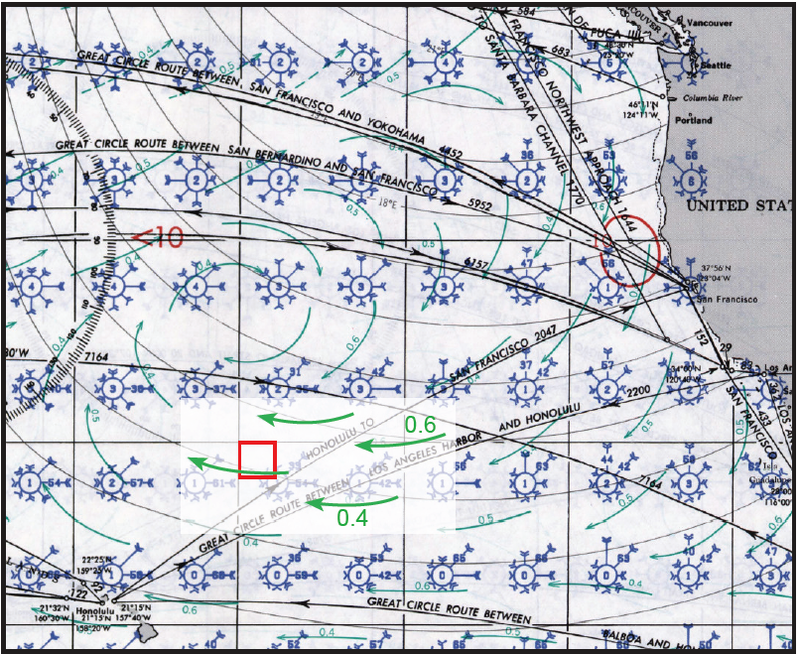 We cannot count on climatic values from Pilot Charts to be pertinent when underway. The colored squares mark the same location. The main message is ocean currents can be larger and quite different from those predicted on Pilot Charts and we should be on the alert for their effect. Another reminder we get from that 1982 voyage is the value of modern tropical storm guidelines we get from the National Hurricane Center (www.nhc.noaa.gov/prepare/marine.php). 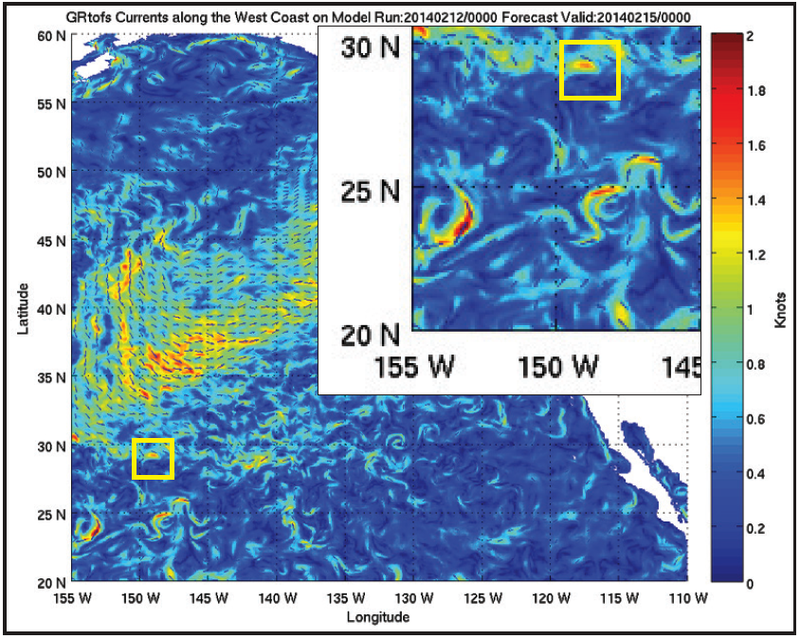 One is the 34-kt Rule telling us to avoid the forecasted region around the storm that has winds stronger than 34 kts. This region is included in the forecasts and reports. The second is the Mariner’s 1-2-3 Rule that tells us how the uncertainty in the predicted storm location increases with the forecast days: 100 miles for 1 day, 200 miles for 2 days, and 300 miles for 3 days. 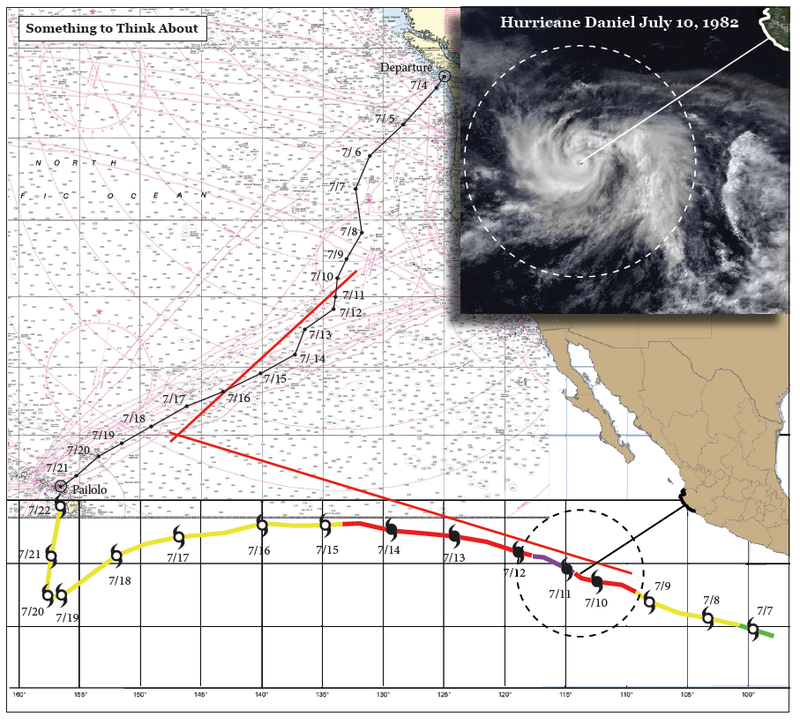 In 1982 we were on a collision course with Hurricane Daniel for about 10 days, after which the system degraded to a tropical storm and altered course to the south. As it turned out, we both got to Hawaii at the same time, and we did experience remarkable squalls likely associated with that system. Had we known these NHC rules then, we would have had more quantitative guidelines to consider. What was left mostly unsaid on the boat at the time was we never were out of a collision course with the system, because the statistical path of such storms is a curve poleward, straight at us. I encourage ocean sailors to have a look at this book for a modern review of the oldest way to navigate and to keep in mind our own guideline to prudent, efficient navigation: always old, always new.